.... endorses Isapa/Obbo-Ile to produce next assembly representative. Tribal politics, minority status of some political units, inequitable distribution of public wealth and resources has led to a great clamour for rotation of political powers and offices among political groups, zones and units that constituted a political entity. As a result of the persistency of this noble clamour, especially by minorities and population-disadvantaged groups and units, well meaning and patriotic elements in the polity had wrested with the idea of the best formula that will guarantee peace, stability and give sense of belonging, to every constituent units in Ekiti Kwara Constituency, by the design of a political power rotation mechanism between the two zones that constitutes the Constituency, and even microscopically between new wards from each of the old wards. Ekiti Constituency comprises of two political zones, namely the Osi/Obbo-Aiyegunle/Opin Zone, and the Obbo-Ile/Eruku Zone. The Osi/Obbo-Aiyegunle/Opin zone has three (3) old wards. As at today, two distinctive new wards have been carved out of each of these old wards. These are the current ten (10) wards constituting Ekiti Constituency in Kwara State. Having summarily explained the emergence of the ten (10) wards which constitute Ekiti Constituency as at today, it would be of good interest, if one would go down memory lanes, to relish the interesting feat, laudable political peace and harmony, the designs for rotation of political power between the two political zones, (which were being followed religiously no matter the political party in power in the Constituency or at the State level) had achieved, such that every other political parties which know it's onus, would always readily picked and nominated candidates for subsequent elections from the other zone away from the incumbent in the office. For practical examples; In 1999, at the advent of the fouth Republic, the House of Assembly member from Ekiti Constituency was Hon. C.T. Ayeni from Isapa Ward in the Obbo-Ile/Isapa old ward and from the Obbo/Eruku Zone. Hon. Ayeni did not lasted more that one (1) year and some few months before he got appointed by the then Lawal Administration as a commissioner. Immediately, the onus shifted to the Osi/Obbo-Aiyegunle/Opin Zone, to produce the House of Assembly member. This led to the emergence of Hon. (Engr.) Ogunmola from Obbo-Aiyegunle in the Osi/Obbo-Aiyegunle/Opin Zone, to be elected to complete the remaining three (3) years left of Hon. Ayeni's tenure between 2000 - 2003. At the end of Hon. Ogunmola's dispensation, it became the turn of Obbo/Eruku Zone, to produce the next Assembly member, but the zone was shortchanged as the lot fell on Obbo-Aiyegunle again, to produce the Legislature Assembly representative for the Constituency. Hon. Fadimula from Obbo was elected in 2003 - 2007. By 2007 - 2011, the Assembly lot was taken to Eruku old ward, since the Osi/Obbo-Aiyegunle were having their shot as the commissioner representative from the Local Government, Deputy Chief of Staff and other political offices, were in the kitty of Osi/Obbo-Aiyegunle/Opin zone. So therefore, Eruku ward produced Hon. Cecilia Ore as the Assembly representative between the period of 2007 - 2011. By 2011 - 2015, the State Assembly representation shifted to the Osi/Obbo-Aiyegunle/Opin zone. By this time, Hon. Ebun Owolabi from Osi ward emerged as the Constituency representative, while the Local Government Commissionership slot was also held by Chief M Bamisaye from Obbo-Aiyegunle. While Deputy Chief of Staff and Commissioner 3, were held by persons from Opin Old ward within same same Osi/Obbo-Aiyegunle/Opin Zone. 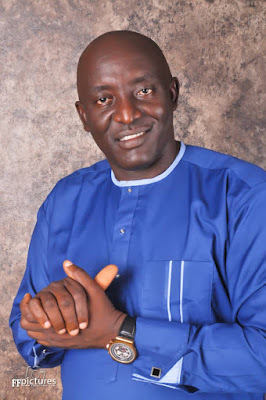 By 2015, when the rotational principles on Assembly representation, was supposed to be followed up by been rotated to the Obbo-Ile/Eruku zone, the power that be, altered the well-designed Political Rotation System in Ekiti Constituency, Osi ward was made to returned as the Assembly representative, as Hon. (Mrs) Ebun Owolabi was returned from 2015 - 2019, for an eight (8) years tenure, while Oke-Opin ward also retained it's Deputy Chief Of Staff slot for another four (4)years. So therefore, without any Much I do, the saddle of producing the next Assembly representative for Ekiti Constituency should automatically fall on the Obbo-Ile/Eruku zone. And since the Eruku/Koro old ward are the immediate past and present occupier of the state Commissionership slot, common logic dictates, that the search for the Assembly representative would be between Obbo-Ile and Isapa Ward. Obbo-Ile ward has no frontline candidate in the race and Isapa ward the a top flight candidate, has never had any opportunity asides the one year and two months' short-lived tenure of Hon. C. T Ayeni. So therefore, we the Concerned Ekiti Kwara Stakeholders Forum (CEKSF), having considered all these factors as highlighted above, without any mindset of partisanship or political inclination and in the spirit of fairness, equity and justice to all and sundry, we have decided to pitch our tent and lend our total support to the Candidate for the Ekiti Constituency Assembly seat, who is from Isapa Ward, in the Obbo-Ile/Eruku Zone. It would be the greatest injustice to all the people of Obbo-Ile, Isapa, Eruku and Koro, if after an eight (8) years unrivalled and unbroken tenure in the Kwara State House of Assembly by the Osi/Obbo-Aiyegunle/Opin Zone, for a candidate from same Osi/Obbo-Aiyegunle/Opin zone, to still have the temerity to demand to be our Assembly representative for another four year, to make a complete total of 12 years running for Osi/Obbo-Aiyegunle/Opin zone at a stretch. It would be most unfair to the other zone, it would amount to injustice , inequality and unfairness. We therefore annoinced our endorsement of the Ekiti Constituency Assembly candidate from Isapa as our choice and thereby call on all our brothers and sisters in Ekiti Local Government Area of Kwara State, to ensure, we give sense of belonging to all and everyone, by upholding the tenent of the existing Political Power Rotation Principle, by supporting only the candidate for the Kwara State Assembly from Isapa Ward, so as to bring back, the rotational principles in Ekiti Local Government once again, for us all to be partakers and stakeholders in the Ekiti_projects no matter our size or minority status. Thank you all, for standing by the UNITY and ONENESS of Ekiti Kwara. We shall remain the indivisible one entity that we have always been in Kwara State. Alale Ekiti a' gbe aaa oh!